Painful diabetic neuropathic pain. This R01 project was just renewed for a third five year period to study the peroxisome proliferator-activated receptor (PPAR) family of nuclear receptors as a novel class of analgesic compounds for chronic pain (Taiwo and Taylor, 2002). Three isoforms of PPAR have been identified: α, β/δ, and γ. Peripheral PPARγ is well-characterized as a key target of the thiazolinedione (TZD) class of FDA-approved anti-diabetic drugs, which includes rosiglitazone and pioglitazone. The Taylor lab has extended its potential targets to the spinal cord with our discovery of PPARγ mRNA and protein in the dorsal horn (Churi et al, 2008). They found that PPARγ agonists rapidly reduce the hyperalgesia associated with inflammation or nerve injury in a dose- and PPARγ-dependent manner (Morgenweck et al, 2013) in part via a novel non-genomic translation-independent mechanism at spinal glia (Griggs et al, 2015). This work is important and timely because TZDs are FDA-approved for diabetes and are in clinical trials for CNS neurodegenerative diseases. Therefore, their findings could lead to the rapid translation of basic science to the clinical treatment of chronic pain. Their renewal R01 application extends their studies to painful diabetic neuropathy (PDN), using the Zucker Diabetic Fatty (ZDF) rat and Leprdb/db (db/db) mouse hereditary models of type 2 diabetes. In ZDF, Dr. Taylor’s group observed behavioral signs of motivational/affective pain (using a novel mechanical conflict-avoidance assay), and in both ZDF and db/db, they found elevated plasma methylglyoxal, a cellular metabolite of glucose that is markedly increased in the blood of hyperglycemic patients and contributes to PDN. To determine MG mechanism of action, they established a mouse model of MG-induced pain that includes multiple behavioral signs of spontaneous, evoked, and affective pain (using a conditioned place aversion assay), as well as molecular signs of spinal neuron activation. They are testing the central hypothesis that elevated MG in type 2 diabetes causes PDN and that this metabolic hyperalgesia can be alleviated by drugs targeting MG (Aim 1), TRPA1 (Aim 2), AC1 and Epac (Aim 3), and/or PPARγ (Aim 4), thus advancing a new pharmacotherapeutic strategy for painful diabetic neuropathy. Griggs RB, Laird DE, Donahue RR, Fu W, Taylor BK. Methylglyoxal Requires AC1 and TRPA1 to Produce Pain and Spinal Neuron Activation. Front Neurosci. 11:679 (2017). PMID:29270106. Griggs RB, Donahue RR, Adkins BG, Anderson KL, Thibault O, Taylor BK. Pioglitazone Inhibits the Development of Hyperalgesia and Sensitization of Spinal Nociresponsive Neurons in Type 2 Diabetes. J. Pain. 17 (3):359-73 (2016). PMID:26687453. Griggs, R.B., Donahue, R.R., Morgenweck, J., Grace, P.M., Sutton, A., Watkins, L.R., and Taylor, B.K. Pioglitazone rapidly reduces neuropathic pain through astrocyte and nongenomic PPARγ mechanisms. Pain 156:469-82 (2015). PMID:25599238. Morgenweck, J., Griggs, R.B., Donahue, R.R., Zadina, J.E., and Taylor, B.K. 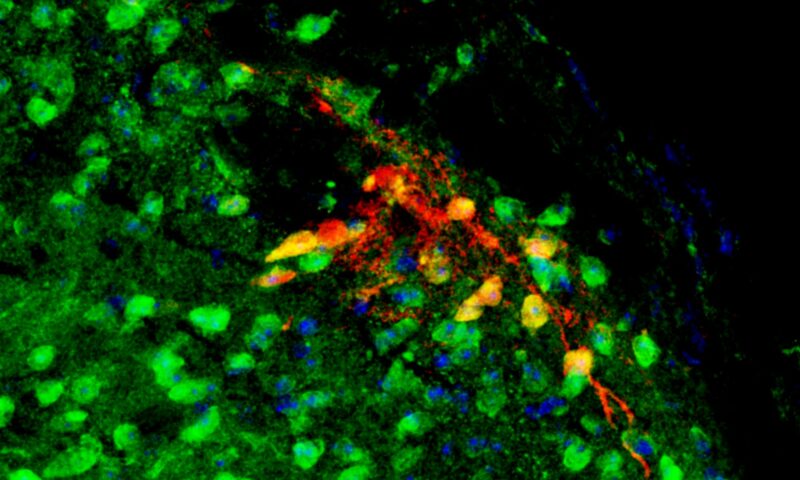 Peroxisome proliferator-activated receptor γ blocks development and reduces established neuropathic pain in rats. Neuropharmacology 70C:236-246 (2013). PMID:23415633. Churi, S.B., Abdel-Aleem, O., and Taylor, B.K. Intrathecal rosiglitazone acts at peroxisome proliferator-activated receptor γ to rapidly inhibit neuropathic pain in rats. J. Pain 9:639-649 (2008). PMID:18387855. Taylor, B.K., Dadia, N., Yang, C.B., Krishnan, S., and Badr, M. Peroxisome proliferator-activated receptor agonists inhibit inflammatory edema and hyperalgesia, Inflammation 26:121-7 (2002). PMID:12083418.